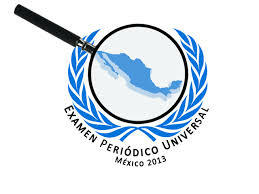 During the second Universal Periodic Review (UPR) carried out by the UN Human Rights Council (HCR) with reference to Mexico in Geneva, Switzerland, on 23 October, member-states released 176 recommendations for the Mexican government–four years ago, the government received 91. These recommendations reflect serious criticisms made of the Mexican government, making reference to 29 subjects addressed by representatives from 89 countries. The points which were most stressed included the lack of protection for human-rights defenders and journalists, the persistence of laws allowing for community control and military tribunals in the case of human-rights violations committed by soldiers, in addition to the situation of women and other vulnerable social groups, such as migrants and indigenous peoples. Different civil organizations emphasized for their part that although the Mexican government has presented different legal initiatives in terms of human rights, it has not done enough to carry them into practice, nor has it ratified international accords which would demonstrate its commitment in this sense. It is important to stress that the questions addressed by the UPR this time had also been raised during the previous UPR of 2009. Now, four years later, these continue to be pressing issues. Mexico should analyze these recommendations, and in March 2014 report to the UNHCR its plan of action to observe these.